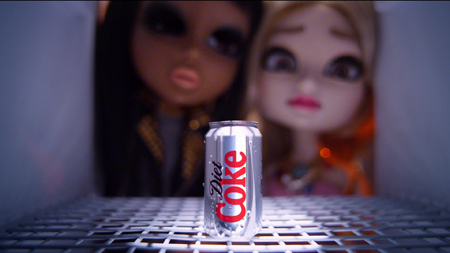 In one of the adverts, ‘There’s One Left,’ three dolls (Eleanor, Bernadette and Irene) are fighting for the last can of Diet Coke in the fridge—despite a seemingly aggressive plot, the TV commercial is humorous and is inviting the audience to see the “lighter side of life.” There’s also another TVC called ‘No Cal,’ in which the characters are testing the ‘no-calorie’ properties of the drink, sipping from the same can of Diet Coke. 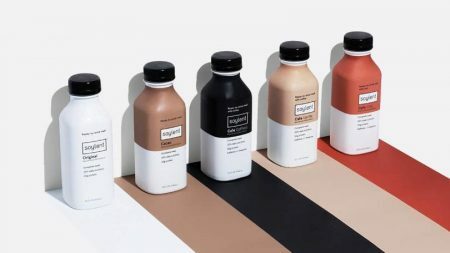 The brand has also unveiled three new fashionable prints for its cans—the floral, zebra and hound’s tooth prints in female face profiles. Each of the new packs has a £5 voucher code, which can be redeemed while purchasing gods for over £20 from www.benefit.cosmetics.co.uk. The brand has also launched video on demand, cinema, outdoor and print activity. “The ‘Love it Light’ campaign returns for the fourth time in 2012 featuring the distinctive Diet Coke puppets. The campaign demonstrates the brand’s light-hearted attitude and appeals to young, fun-loving women. 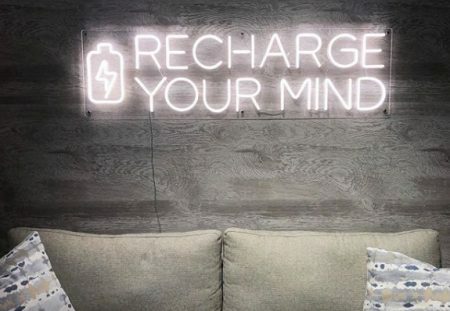 Elsewhere, we’re delighted to be partnering with Benefit to inspire consumers with the latest beauty looks and reward them with money-off at www.benefitcosmetics.co.uk,” shared Zoe Howorth, market activation director at Coca-Cola GB. 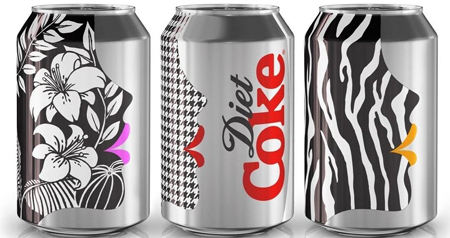 To engage its digital-savvy audience into the campaign, Diet Coke has also launched the ‘Get Glam’ Facebook application. “The perfect accompaniment for getting ready with the girls, the ‘Get Glam’ app brings together glamour, fashion, style, beauty, friends and fun into one party-pampering package. Users can discover whether they are a rock chick, fashionista or romantic, learn how to interpret and perfect must-have fashion and beauty styles, or get ready with friends via a ‘Glamming Together’ video chat tool,” writes Talking Retail. Posted in News, Social Media and tagged Coca-Cola, Diet Coke, Mother, soft drinks, UK. Bookmark the permalink.